Fully furnished serviced apartment for rent in Lang Ha, Dong Da, Hanoi. It has 80 sqm living area, designed 2 bedrooms, 2 bathrooms ( one with bathtub), living room combining kitchen. The apartment is equipped full furniture: sofa, tv, fridge, wardrobes, air conditioner, cooking stuffs, mattress, microwaves,… Price: 800 usd/month (internet, cable tv, usage water, cleaning serviced twice a week) Please contact ma at 0936 670 899 or huong@bdsmekong.vn for more information. Cheap serviced apartment for rent in Lang Ha street, Dong Da district, Hanoi. It has 50 sqm use area and composed of a bedroom, a bathroom, a living room and kitchen. The serviced apartment is full furniture, close to Bay Mau lake with good view, airy and quiet. Rental fee: 500 usd/month. The price is include cable tv, internet, water consumption fee. Please contact me at 0936 670 899 or huong@bdsmekong.vn for more information. 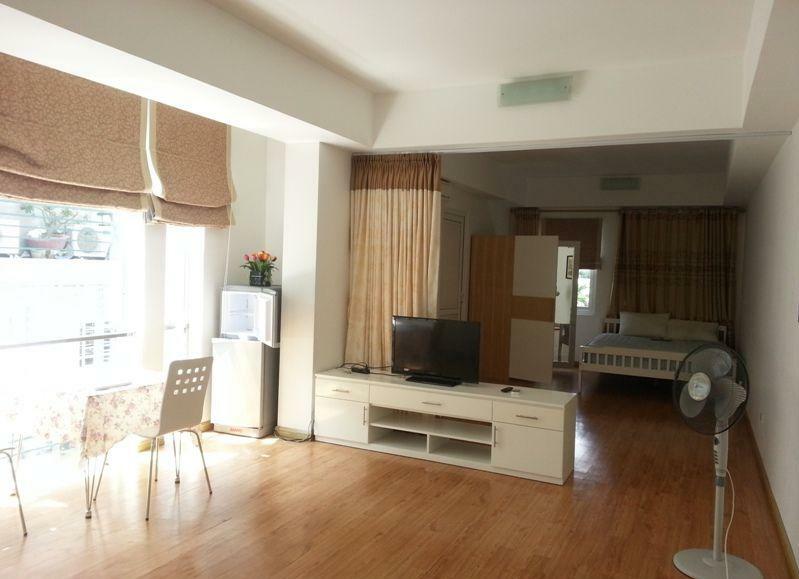 Full furnished serviced apartment for rent in Cat Linh, Dong Da, Hanoi. Total living area is 70 sqm and composed of 2 bedrooms, 1 bathroom, living room and kitchen. The living room and the kitchen are combined on 1 surface. The bedroom is usually bright and airy by large window and balcony. The apartment is provided full furniture, good equipment and wooden floor. The rental fee: 700 usd/month ( including cable tv, internet, cleaning service ) Please contact me at 0936 670 899 or huong@bdsmekong.vn for more information. One bedroom serviced apartment for rent in Lang Ha street, Dong Da district, Hanoi. Total living area is 80 sqm, composed of 1 bedroom, 1 bathroom, living room and kitchen. The Living room and the kitchen are combined. The apartment is equipped full furniture. It has balcony, wide window that make the living room light and airy. The rental fee: 600 usd/month ( the price is include cable tv, internet, cleaning service) Please contact me at 0936 670 899 or huong@bdsmekong.vn for more information.